Perioral lines, loss of volume to the lips, nasolabial folds and marionette lines are all common lower facial concerns that patients present with when seeking aesthetic treatment. In addition, a sagging jawline is a key indicator of facial ageing and often has a significant impact on a patient’s appearance. 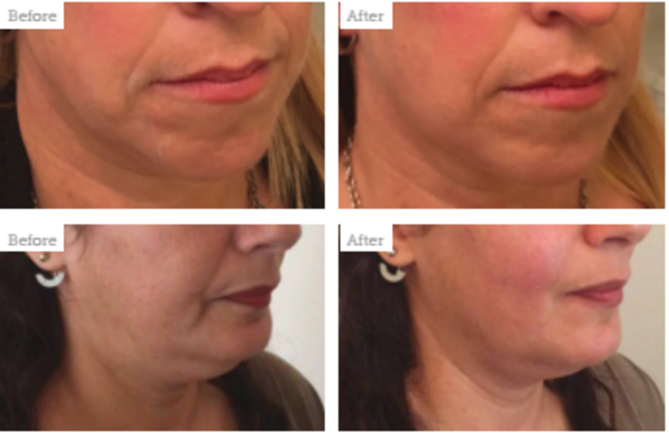 The combined effects of gravity, progressive bone resorption, decreased tissue elasticity, and redistribution of subcutaneous fullness all contribute to the manifestations of facial ageing;1 however, there are a number of non-surgical options available to help lift and contour the lower face. “Every patient benefits from a full face consultation where we look at the structure, the soft tissues and the proportions of their face,” says aesthetic practitioner Dr Kate Goldie. “It’s interesting for patients to learn how each part of the face relates to the bit beside it, and never is this more true than for the lower face, which shows the effects of everything that happens above it,” she explains. In her consultations, Dr Goldie will talk through each part of the patient’s face and point out the cause and effect of each aesthetic concern. Doing so, she notes, allows patients to understand that lower face ageing is generally a result of ageing of the mid-face and helps patients to recognise that only addressing one concern is not necessarily going to have an overall positive effect. She adds that performing a full face clinical analysis helps the practitioner to understand where they can get an uptake of extra skin and still keep results looking natural. “We use specific measurements tailored to each patient to know where to treat to ensure that the patient looks natural, but also better,” she explains. 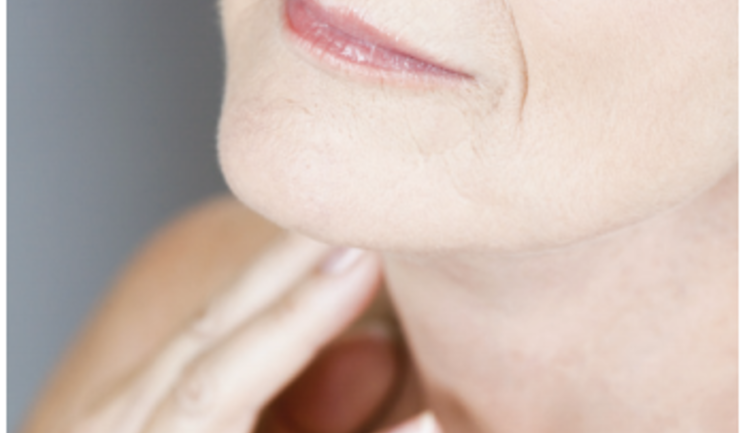 Dr Goldie notes that she’s started to treat the jawline in relatively younger patients, in particular those in their early 40s. “Instead of leaving treatment until patients come in specifically asking for jawline treatment, we’re looking at jawlines as part of the overall beautification process. Some patients may not have noticed that their lower face is starting to sag – they mainly see lines around the mouth – but if you point it out to them then suddenly they notice it,” she explains. Cosmetic surgeon and aesthetic practitioner Miss Jonquille Chantrey explains that the lower face is a very common area of concern amongst patients. “In particular, patients are concerned with loss of continuation of the jawline, jowl formation, development of submental fat and generally feeling as though their lower face may be getting more gaunt or sagging,” she says. Similarly to Dr Goldie, Miss Chantrey will offer the patient a full facial assessment in which she will discuss how facial fat pads change over time and how ageing of the mid-face may be influencing patients’ lower facial concerns. “Once we’ve talked about the fat composition and volumetric changes, the bone changes that have occurred in the mandible over a period of time and the muscle influencers, we talk about the skin,” she says. Taking note of the skin’s integrity, its elasticity, and whether there’s any ptosis is essential in order to understand how to safely and successfully approach treatment, Miss Chantrey explains, adding that it is also vital that practitioners discuss patients’ skin health habits – in particular whether they smoke or have smoked and how much time they spend in the sun. Aesthetic nurse prescriber Jacqueline Naeini adds that other lifestyle factors should be taken into consideration too – including the patient’s diet, general health and stress levels. “As much as they may not want to change these habits, I will alwaysprovide advice if I think it may help,” she explains. According to Dr Goldie, successful results are achieved by injecting subdermally with lots of little passes. She adds, “We examine the jawline in three dimensions, aiming to straighten it – particularly with the formation of jowls – sharpen and then contour it.” In Dr Goldie’s experience, treatment results usually last for a year, however, in some cases it can last up to 18 months. “I tell my patients a year but we quite often get longer,” she says. Dr Otto explains that he uses an 18 gauge needle to create an entry point in the skin, before inserting the threads with a blunt cannula. He does not recommend using a needle for thread insertion due to the risk of damaging nerves or blood vessels. Combining thread treatment with botulinum toxin can also be beneficial to the lower face, says Dr Otto. “I inject botulinum toxin two weeks before a thread lift to relax the platysma muscle and get a better result,” he says. Side effects of thread lift treatment can include, asymmetry and threads being visible under the skin, however thorough training should of course lower this risk, as well as bruising and swelling. Dr Goldie also uses an ultrasound device to contour the jawline, this time Ultherapy. The FDA-approved device uses ultrasound imaging, to allow the practitioner to see down to 8mm below the skin on a screen.12 The Ultherapy transducers offer three different treatment depths: 4.55mm to the SMAS/platysma, 3mm to the deep dermis and 1.5mm to the superficial dermis.12 Dr Goldie says, “Over time, we have found that Ultherapy is particularly effective at prevention and contraction.” She notes that there is no real downtime to Ultherapy – patients can bruise and there may be a little bit of redness or swelling, but nothing significant. To avoid any potential complications she says it’s important that practitioners understand the depth to which they’re penetrating, the anatomy of the area being treated and, of course, how the technology works. 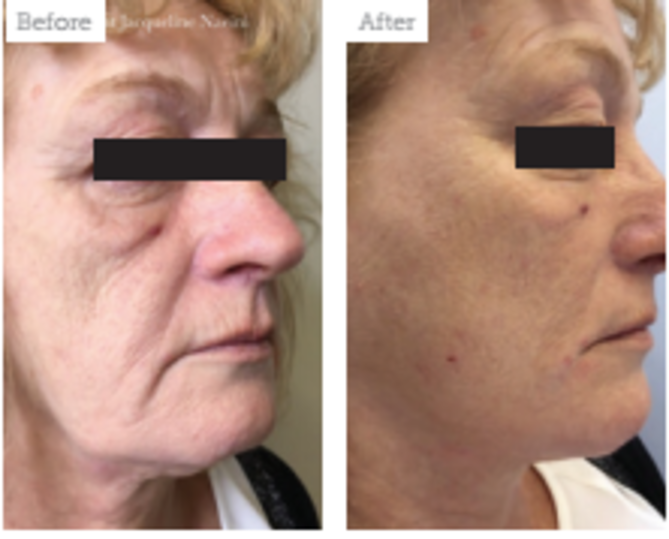 Figure 3: Before and after the lower face was treated with 1ml of Volift to each side. Skincare included the use of the NeoStrata Skin Active range, a retinol and SPF. Images courtesy of Jacqueline Naeini. Lower face treatments will continue to be ever popular with aesthetic patients. While improving the appearance of lines and wrinkles is of course necessary, it is apparent that contouring the jawline can have a significant impact on a patient’s whole facial aesthetic. Having awareness of the wide range of treatments that are available, as well as how to utilise the best techniques and administer procedures safely, can have a hugely positive influence on your clinical practice. 3. Peter M. Prendergast, ‘Anatomy of the Face and Neck’, Springer, p.33. 4. Ahn J, Horn C, Blitzer A, ‘Botulinum toxin for masseter reduction in asian patients’, Archives of Facial Plastic Surgery, 6 (2004) pp.188-191. 5. Moore AP, Wood GD, ‘The medical management of masseteric hypertrophy with botulinum toxin type A’, Br J Oral Maxillofac Surg, 32 (1994) pp.26-28. 6. Kim SK, Han JJ, Kim JT, ‘Classification and treatment of prominent mandibular angle’, Aesthetic plastic surgery, 25 (2001) pp.382-387. 7. 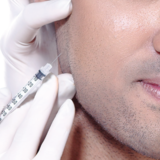 Persaud R, Garas G, Silva S, et al, ‘An evidence-based review of botulinum toxin (Botox) applications in non-cosmetic head and neck conditions’, JRSM Short Rep, 4 (2013) p.10. 8. Long H, Liao Z, Wang Y, et al, ‘Efficacy of botulinum toxins on bruxism: an evidence-based review’, International Dental Journal, 62 (2012) pp.1-5. 9. de Mello Sposito MM, Teixeira SAF, ‘Botulinum Toxin A for bruxism: a systematic review’, CEP.5716:150.